Custom Embroidered Dog collar with name, your choice of font style and color of thread. 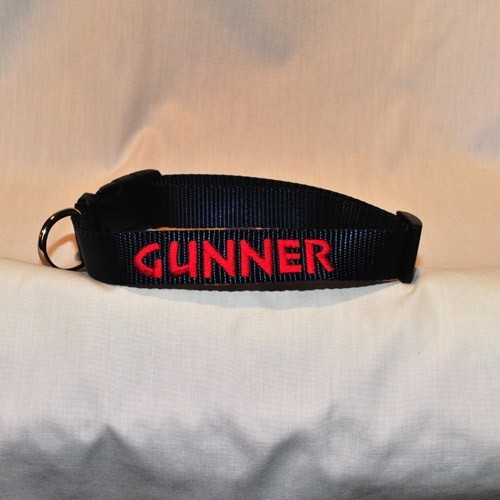 Dog Collar is 1″ wide, adjustable, heavy nylon, curved side release buckle and a heavy duty welded D ring. Collar Length Please enter collar length. 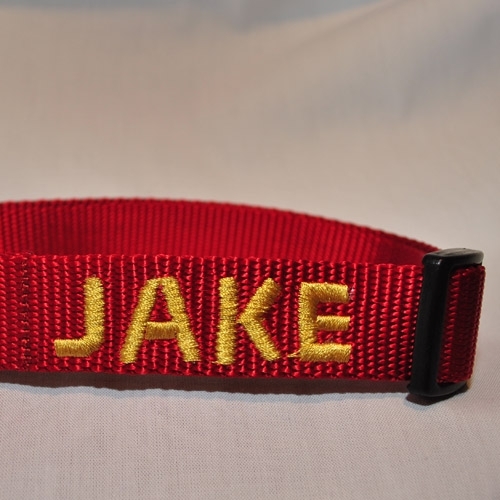 Personalized Custom Embroidered Name Dog Collar is made from soft thick heavy weight nylon webbing. 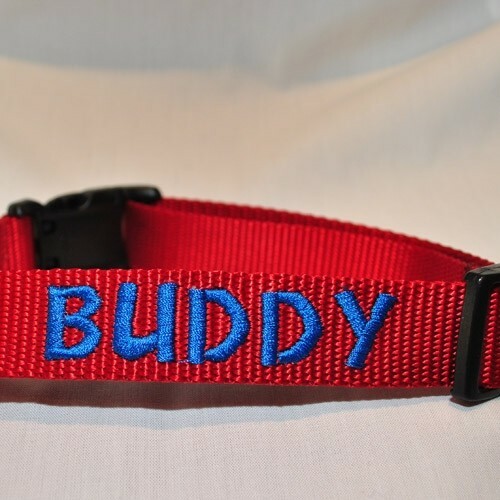 Whether you’re traveling to the grocery store, the dog park, or far away friends your dog should be wearing this personalized custom embroidered name dog collar! 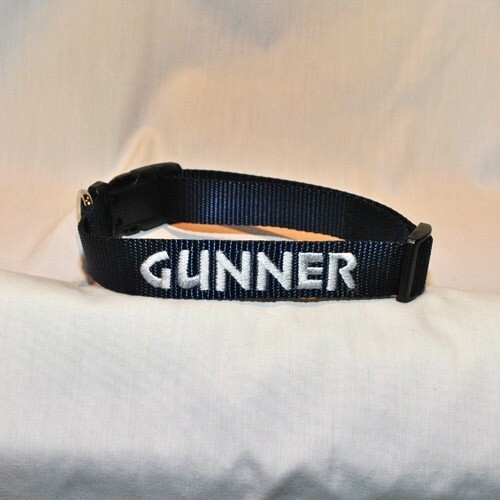 If your dog ever gets loose, having their name and your cell phone number in bright, bold, and easy to read fonts on the personalized custom embroidered dog collar increases the chances of a finder calling you to return your dog instead of calling animal control. Many people want to do the right thing but are afraid to get too close to a strange dog. 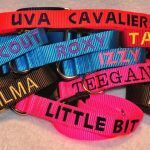 The visible phone number on the dog collar makes it easier to see and read, increasing the chances your dog will be returned to you. 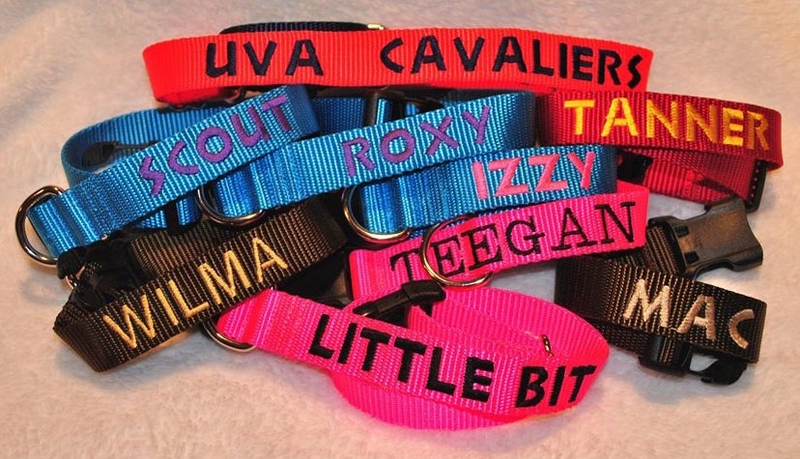 Choose from 3 differnt font styles for your dog’s name. 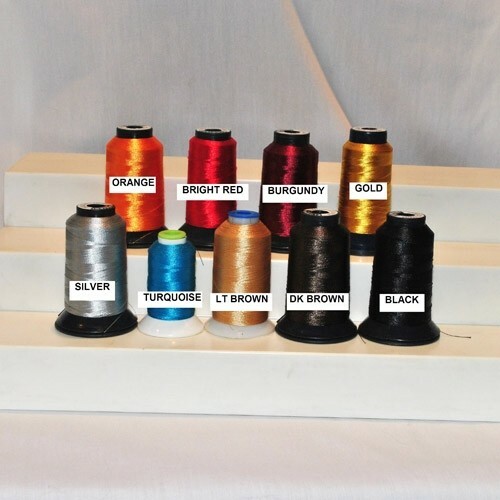 Choose your color of thread. To ensure a proper fitting collar with the embroidery in the correct position we will need your dog’s collar size. This is a very important measurement if you are adding the phone number. 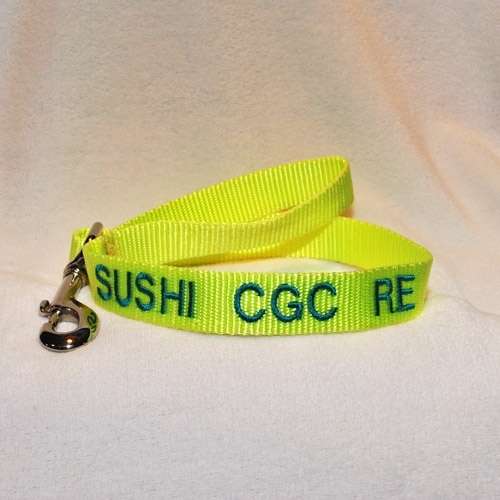 If done incorrectly the slide adjuster will cover the phone number as seen in the photos. 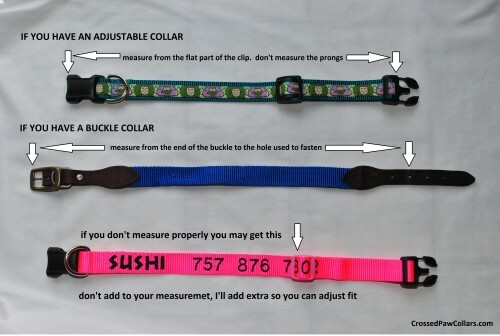 Measure your dog’s collar as seen in the photo. If you are unsure please email us. We want everything to be just right. Nylon webbing is a heavy-weight material and is stronger than polypropylene and polyester webbing. Nylon has a soft lustrous feel. 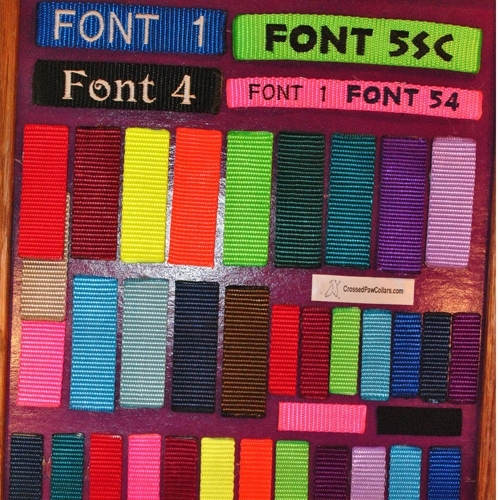 We use YKK brand contoured top quality plastic side release buckles. The smooth design of the YKK buckles disguises their strength and durability. Top quality, nickel plated steel, heavy welded 1 inch D-rings. Welded heavy D-rings differ from regular D-rings because they are thicker and have the ability to tolerate greater tension than a non-welded or light weight D-ring would. 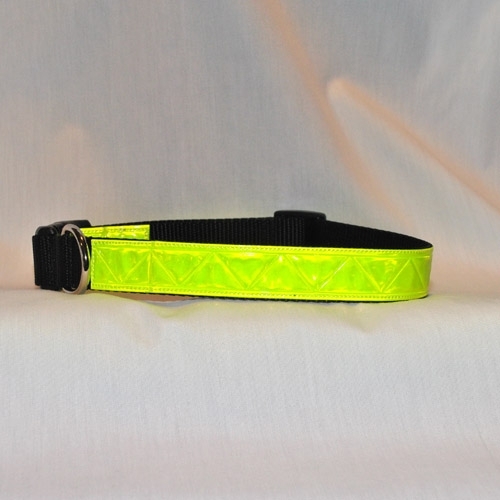 Dog collars are triple stitched for extra strength and security. 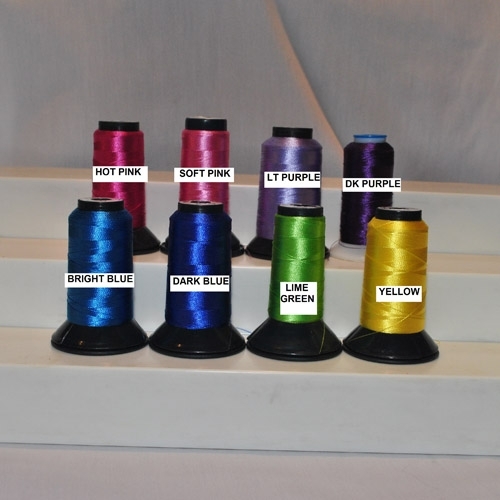 Be assured you are getting a top quality product. We take a lot of pride in our work and want you and your dog(s) to be safe and happy. A PORTION OF THE PROCEEDS ARE DONATED TO OUR LOCAL SHELTERS. WE STRIVE TO GIVE TO EACH SHELTER AND A SPECIAL ANIMAL IN NEED. 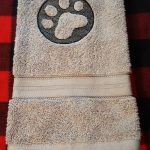 Hand washing and line drying all dog collars, leashes and martingales is recommended. 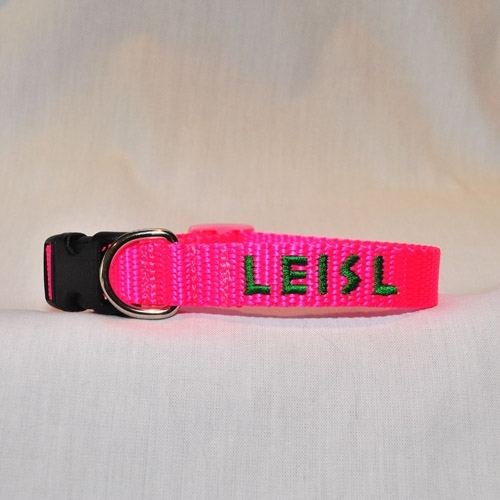 Every Personalized Collar and Leash is made to order. Please Allow 2 weeks for shipping. All items ship via USPS, tracking included. Both my dogs wear theirs daily. They are very well made. My dogs are loose on the farm all day. It is so reassuring to me to have their information, name and my phone number, in big letters, on them always, that anyone can easily read without reading glasses on. 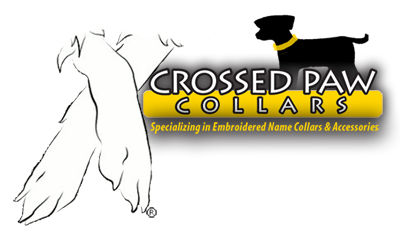 I ordered 5 custom embroidered collars for 5 dogs that we have rescued. They arrived in a week, were perfectly constructed and exactly what I wanted. The cost was less than a plain store bought canvas collar. I recommend Crossed Paws. Absolutely Love this collar! 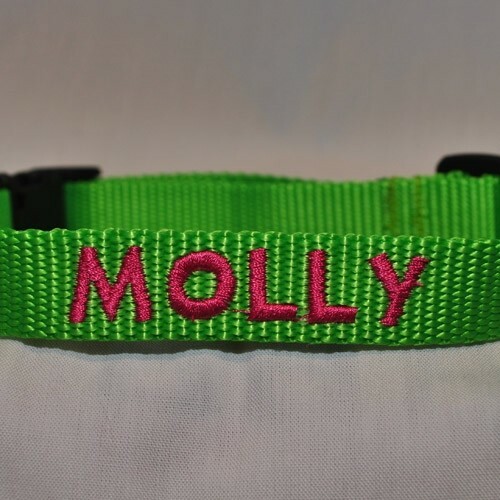 I got to specify the colors I wanted and now I don’t have to worry about the dog tags coming off ,since her name and number is embroidered right on the collar! Customer service was top notch and the turnaround time was super fast! I am a customer for life !